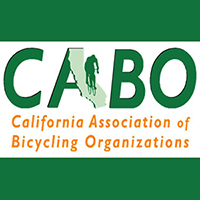 Our Oxnard bicycle accident lawyers are active in the cycling community! The Oxnard bicycle accident lawyers at Nadrich & Cohen, LLP are not only aggressive and successful bicycle accident attorneys, they are also heavily involved personal injury lawyers in advocacy and education for cyclists. Our personal injury attorneys proudly support many important community organizations for the victims of bike accidents, pedestrian accidents and car accidents. A bike or an auto accident can be devastating, and we want to protect you. 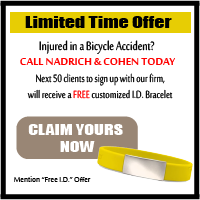 The law firm of Nadrich & Cohen, LLP has been successfully recovering monies for victims of personal injury bicycle accidents for more than 30 years. If you are in need of an Oxnard bicycle accident attorney, there are many reasons you should call us. We are specialists in this area and have obtained tens of millions of dollars for our clients. The Oxnard personal injury attorneys at Nadrich & Cohen, LLP are actively involved personally and professionally in the biking world. Our Oxnard personal injury lawyers not only obtain compensation for its bike accident clients, but also participate in multiple community and advocacy organizations to make bike riding a safer activity. Our bicycle accidents lawyers are supporters of groups such as Mothers Against Drunk Driving and the League of American Bicyclists. When our bicycle accident attorneys aren’t working or helping others, they are probably riding their bikes. To reach an Oxnard personal injury attorney immediately, call (805) 822-5993. Learn about our bicycle accident attorneys at www.bicycleaccidentlawyers.com. You deserve a bicycle accident lawyer that is immersed in the world of cycling as well as law. If you are in an accident, win with our personal injury lawyers.